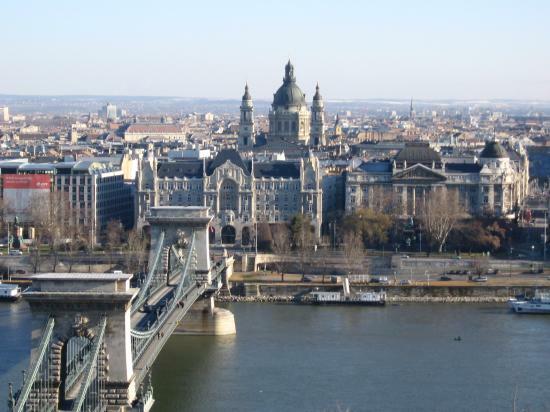 Known as the “Paris of Eastern Europe” due to its geographical separation on the Danube River, Budapest is a historically rich city essential to any European excursion. For authentic Hungarian food, Emese Palotas, a graduate student at Queen Mary University in London, recommended going to the second floor of the Great Market Hall to try Lángos, deep-fried bread dough. She also recommends going to Castle Hill to see the Royal Palace. 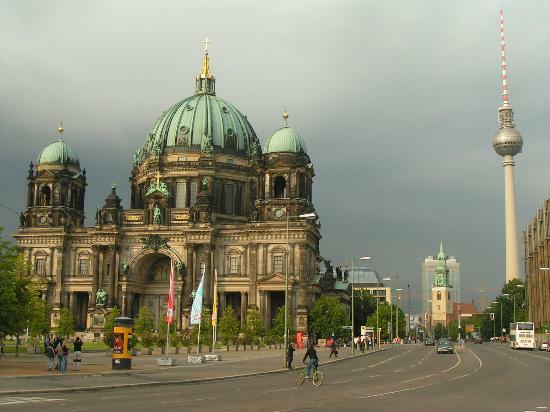 With its modern architecture, thriving nightlife and strong film industry, Berlin is a city you won’t want to miss. Historical tourism can range from the iconic Berlin Wall to visiting the crossing point between East and West Berlin at “Charlie’s Checkpoint” to learning about Jewish history in Germany at the Jewish Holocaust Memorial. This city is especially young, and visitors will always have something new to check out. Aix-en-Provence, located in the south of France, is a way to escape the madness of a city. NYU graduate Madeleine Lodge said the whole town is “dotted” with ancient looking stone fountains. She said that Aix is sunny and beautiful most of the time, with open-air markets selling fresh produce. Madeleine learned from the old men who sit around tables enjoying a beautiful afternoon to try the popular drink Pastis, a yellow-anise flavored liqueur mixed with water. Whatever your poison, a trip to Aix-en-Provence will calm the mind of any city-dweller and is a trip you must take. From the Von Trapp family to Beethoven, Austria is the home of many musical legends. But the city of Vienna boasts more than just Beethoven’s grave. One thing unique about Vienna is its food. The coffee, coffeecakes and wine are especially important to check out. Vienna tourist spots include the opera house, St. Stephen’s Cathedral, Schönbrunn Schloss, a summerhouse for old monarchs, and much more. Former Elon University student Amber Christino described Edinburgh as “charming,” “unique” and “by far one of my favorite cities I have ever visited.” From traditional Scottish breakfasts to the constant hum of bagpipes, she said this city immediately came alive. 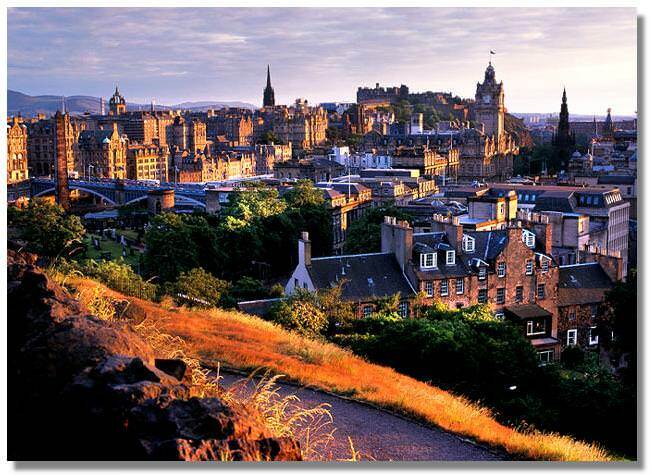 Go to Edinburgh Castle for a complete immersion into Scotland’s rich history and amazing view. But for those on a bit of a tighter budget, New Europe’s free walking tour of the city is a must. You’ll learn fun facts about Edinburgh’s history, and see some of the real-life inspiration for the Harry Potter. Some history, some Hogwarts. How bad could it be? Copenhagen has many hidden treasures. Tivoli Gardens has fountains, a merry-go-round, and a pantomime theater. The harbor, Nyhavn, is filled with wooden boats. Hans Christian Andersen's story The Little Mermaid was the inspiration for a statue of a mermaid on a rock. And for all of you shoppers, Stroget is Europe's longest shopping street.Go toward the universities where there are bound to be students – Danish and foreign – having a good time. Amsterdam is an experience by itself. 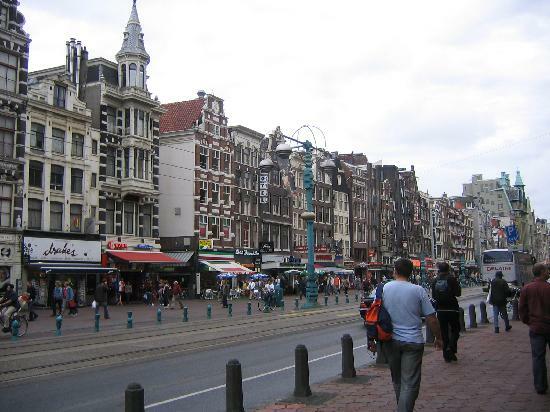 The number of touristic things to do is countless, but as we all know, Amsterdam is known for its party scene and nightlife experience. During the day, you should visit the Anne Frank House, the Van Gogh Museum and the Vondelpark, where some read a book while others enjoy a pint of beer. A visit to the Heineken Experience (for beer), House of Bols (for gin), or Hash Marihuana Hemp Museum (self-explanatory) are some fun alternatives. Paradisio nightclub is a church-converted into a concert hall that has a range of performers. Club Jimmy Woo attracts chic clientele and blasts music. It’s obvious why Shakespeare chose Verona for Romeo and Juliet. “I love to aimlessly stroll through unknown towns, so Verona was perfect,” said Brown University freshman Stephanie Randall. You can send a letter to Juliet at Casa di Giulietta (as in Letters to Juliet) or visit the Arena. But she said the “little gems” she discovered were her favorite, like La Griglia restaurant, where opera from the Arena was echoing through the small streets as she ate. Ultimately, this small town is an amazing chance to live in a fairy tale, if only for a day or two. Prague’s old architecture and classic European feel is something to take in when in Europe. Visitors must go to the Old Town Square, where the St. Nicholas Church, Astronomical Clock and gothic and baroque architecture are on display. From there, cross the famous Charles Bridge to visit Prague Castle. Some of the most popular clubs in the city include Studio 54, Batalion and Le Clan. Dublin’s St. Stephen’s Green is a relaxing park in the middle of the city. Grafton Street is a pedestrian-only shopping street. St. Patrick’s Cathedral, built in the twelfth century, is Dublin’s largest Cathedral and the national cathedral of the Church of Ireland. You can’t leave Ireland without trying a few pubs. O’Donohue’s has live Folk music and is a classic hotspot. The Brazen Head is one of the oldest bars in the world, having opened in the twelfth century. . Of course, the Guinness Storehouse is something to see and a way to score some free beer.